Gjentatte ganger hører jeg journalister og politikere stille spørsmål ved «nytten» av økologisk mat. Burde vi ikke heller sette spørsmålstegn ved den ikke-økologiske maten? Rachel Carsons bok Silent Spring (1962) hjelper oss med litt av historien bak den ikke-økologiske maten. For the first time in the history of the world, every human being is now subjected to contact with dangerous chemicals, from the moment of conception until death. In the less than two decades of their use, the synthetic pesticides have been so thoroughly distributed throughout the animate (levende, besjelede) and inanimate world that they occur virtually everywhere. They have been recovered from most of the major river systems and even from streams of ground-water flowing unseen through the earth. Residues of these chemicals linger in soil to which the may have been applied a dozen years before. They have entered an lodged in the bodies of fish, birds, reptiles, and domestic and wild animals so universally that scientists carrying on animal experiments find i almost impossible to locate subjects free from such contamination. They have been found in fish in remote mountain lakes, in earthworms burrowing in soil, in the eggs of birds – and in man himself. For these chemicals are now stored in the bodies of the vast majority of human beings, regardless of age. They occur in the mother’s milk, and probably in the tissues of the unborn child. 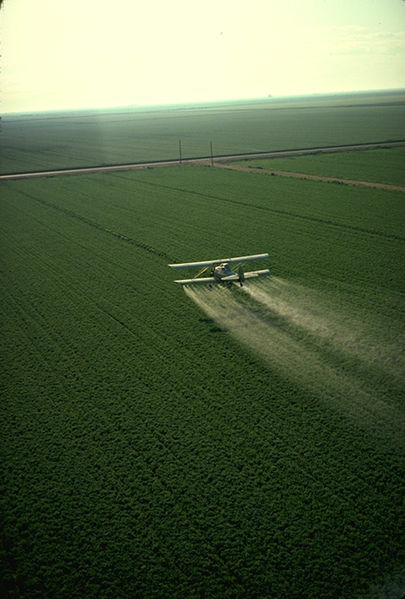 All this has come about because of the sudden rise and prodigious (uhyrlige) growth of an industry for the production of man-made or synthetic chemicals with insecticidal (innsektmiddel) properties. This Industry is a child of the Second World War. In the course of developing agents of chemical warfare, some of the chemicals created in the laboratory were found to be lethal to insects. This discovery did not come by chance: insects were widely used to test chemicals as agents of death for man. Les mer i Rachel Carson, Silent Spring, utgitt første gang i 1962 i USA av Houghton Mifflin. Kan kjøpes ny og brukt på amazon.com, bokkilden.no og leilighetsvis i antikvariater. Innledning til boken er skrevet av forskjellige kjente personligheter i de mange utgavene som er kommet siden 1962, som visepresident Al Gore og Lord Shackleton, m.fl.